Farewell gift. Leaving the department. 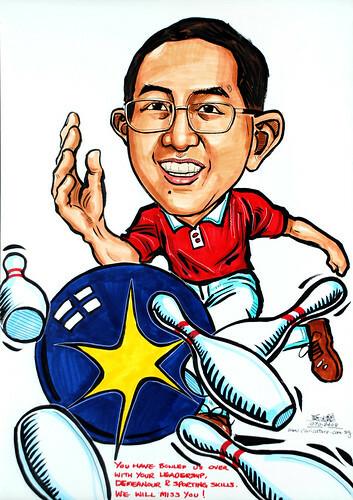 Can tell from the wordings on the drawing - " You have bowled us over with your leadership...."
Finally got the correct bowling posture online. At least looked more convincing to me.